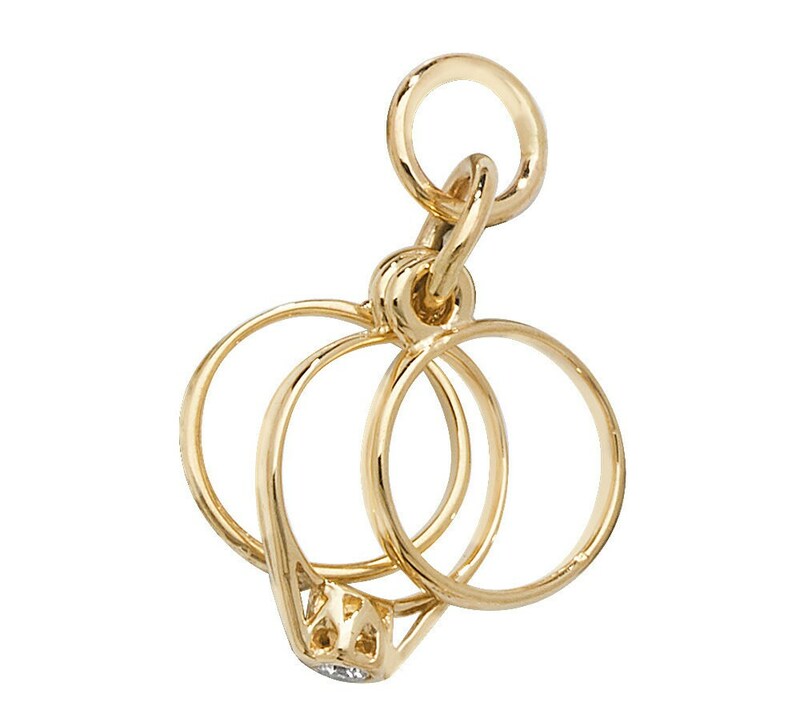 Charming 9ct yellow set of three rings charm pendant with chain loop. The charm has an engagement ring set with a cubic zirconia solitaire, wedding band and eternity ring. Pendant size 1.5cm H x 0.9cm Dia (excluding loop). Loop size approx 5mm diameter. Average gold weight 1.2g hallmarked.